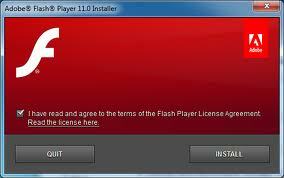 Flash Player 11 is a lightweight, highly expressive client runtime that delivers powerful and consistent user experiences across major operating systems, browsers, mobile phones, and devices. Adobe Flash Player software is a cross-platform browser plug-in that delivers breakthrough web experiences and is installed on more than 98% of Internet-connected desktops. Adobe Flash Player 11 explores a new architecture for high-performance 2D/3D GPU hardware accelerated graphics rendering by Adobe, which provides low-level Stage3D APIs for advanced rendering in apps and gives framework developers classes of interactive experiences. Flash Player is optimized for high performance on mobile screens and designed to take advantage of native device capabilities, enabling richer and more immersive user experiences.